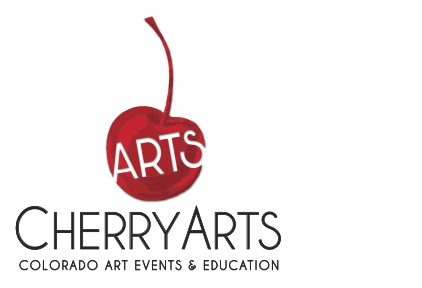 As we finalize the plans for the 2016 Cherry Creek Arts Festival, we are thrilled to share the fun happenings with you! The Festival paints the vibrant streets of Cherry Creek North with the works of 250 national juried artists, a line up of diverse performing artists, family art activities, delicious bites and more. The following outlines all of the things you can look forward to for the 2016 Festival. See you there! This year’s Arts Festival will feature 250 national and international artists in 13 media categories, offering something for everyone. Seventy-five artists are first-time CCAF exhibitors, and 26 exhibitors are from Colorado, providing an opportunity to highlight the local art community. The Arts Festival continues to support emerging artists, with five exhibitors in the emerging program this year; eight program alums join the Festival as exhibitors. A blind-jury process selects exhibiting artists from more than 2,000 artist applications, making CCAF one of the most competitive art shows in the nation. Whipple is a mixed media artist who combined acrylic and pastel on canvas to create the poster image. The commemorative poster is available for purchase at CherryArtShop and at Festival stores throughout the event site. Patrons are encouraged to take home a commemorative piece of the 26th year. The Opening Gala presented by MDC Foundation, Colorado Business Bank and Colorado Homes & Lifestyles takes place on Friday, July 1 from 5 to 9 p.m., includes an exclusive art preview and buying reception, topped off with a stunning culinary dinner experience. The Artist Preview begins at 5 p.m. on Clayton Street when the public is invited to preview 28 of the 250 exhibiting artists. “Use the Sun” band, winner of Mary Louise Lee’s Bringing Back the Arts Music Competition, will perform starting at 7:30 p.m. at the Janus Art Experience tent. At 7 p.m., ticketed Gala patrons are invited into the JW Marriott for dinner, a special performance and to honor the Cherry Creek Arts Festival 2016 Distinguished Patron, First Lady of Denver, Mary Louise Lee. For tickets to the opening gala, visit http://cherrycreekartsfestival.org/opening-gala/. The Janus Student Art Buying Program encourages students to explore art in school and provides them with a hands-on, art-buying experience at the Festival where they get the chance to purchase artwork for permanent installation at their schools. Three schools also are given the opportunity to purchase art for the Mobile Art Gallery, which travels to public schools, libraries, and community centers across the state throughout the school year. The Janus Student Art Buying Showcase will take place on Saturday, July 2, from 1:30 p.m. to 2:30 p.m. at the Janus Art Experience tent on Clayton Street between 2nd and 3rd Avenues. Pieces from the Mobile Art Gallery will be on display in the lobby of the JW Marriott Cherry Creek from June 8 through July 6. The Cherry Creek Arts Festival is partnering with 2016 Festival presenting sponsor Arrow Electronics in the Arrow Five Years Out Art Challenge, an international challenge to inspire artists to take the concept of innovation and express what five years out looks like in the art world, translating ideas into their artistic medium. Through a competitive and collaborative selection process, a jury of national artists and art professionals chose seven finalists out of a competitive pool of artists. Each finalist received a $5,000 commission to create a forward-thinking piece of art to be displayed at the Cherry Creek Shopping Center from June 22 to July 5. The jury will select one winner, the week of June 20, to receive the Innovation Award, granting that winner a $10,000 prize and a jury-exempt invitation to exhibit at the 2017 Cherry Creek Arts Festival. The pieces will become part of the innovative collection of artwork at Arrow featured in offices around the world, as well as in aspects of its brand campaigns. Experience the art of driving with Your Hometown Toyota Stores as they host a Ride & Drive July 2, 3 and 4 on Milwaukee Street between 1st and 2nd Avenues. For every test drive of a Toyota vehicle, participants will receive a $10 gift card. On July 3 and 4, Toyota will host artist Mike Graves as he creates a masterpiece with a Toyota 4Runner as a canvas. Mike is a painter, illustrator, screen printer and custom toy designer. A Colorado-based artist, Mike has participated in almost 100 shows across the country. The CherryArts’ young professionals board is hosting a new event: Perspective Elevated. 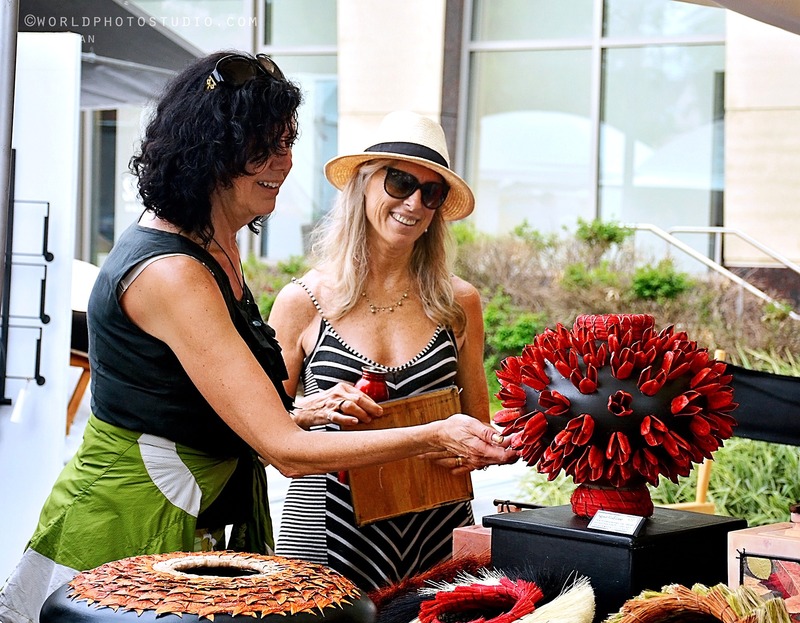 This elevated happy hour will be hosted above the Cherry Creek Arts Festival on Saturday, July 2 from 5 p.m. to 7 p.m. at the newly remodeled Room & Board rooftop. It will feature interactive art, music, food and beverage in celebration of the 2016 Cherry Creek Arts Festival. David Bondarchuck and Scratch Catering Services will provide catering for the event. David has received recognition for his catering and decor on the Martha Stewart Show, HGTV, NPR and Food Network. Francis Ford Coppola Winery, Hendrick’s Gin, Ketel One Vodka, Blue Moon Brewing Company and Pepsi will provide beverages. To purchase tickets for Perspective Elevated, visit http://bit.ly/1VzdrFh. Perspective is the CherryArts official young professionals advisory board, with goals of advancing art and business education, cultivating future art buyers, promoting community leadership and philanthropy development and giving a younger demographic access and input to Festival experiences and business. Visit the Janus Main Stage and Blue Moon Beer Garden on Fillmore to enjoy music performances throughout the Cherry Creek Arts Festival weekend. Experience performances by Megan Burtt, Global Soul Experience, Spinphony and more. Join us for Festival Nights from 8 p.m. to 10 p.m. on Saturday, July 2 and Sunday, July 3 on the Janus Main Stage and Blue Moon Beer Garden. Saturday will feature a performance by Taylor Scott Band and Sunday will feature a performance by the Mary Louise Lee Band. This year, Arrow Electronics will partner with the Handsome Little Devils to provide surprise onsite activations throughout the Festival weekend. These spontaneous mobile performances will pop up all over the site to delight patrons and will disappear as quickly as they appear. Janus is excited to feature the artwork of internationally renowned light and interactive sculptor, Jen Lewin during the Arts Festival. A Boulder-based artist, Lewin fabricates large-scale interactive sculptures that combine light, sound and motion to encourage community interaction. Lewin’s sculpture, Chandelier Harp will be located on 2nd and Detroit Street. Play this interactive instrument by passing your hand, arm, leg or body through the low-voltage lasers that shine from the Chandelier Harp to the ground. The Janus Art Experience stage, located on the west side of Clayton between 2nd and 3rd Avenues, will feature a painting demonstration by 2016 poster artist, Lynn Whipple on Sunday at 3 p.m., an interactive activity with Lighthouse Writers “Poetrees” on Saturday at 3:30 p.m. and much more. The tent also will host the Janus Student Art Buying Showcase on Saturday, July 2 at 1:30 p.m. Kick off your visit to the 26th Cherry Creek Arts Festival with a stop at the Art Auction presented by Porter Adventist Hospital. Here you’re able to view and bid on original works of art. You can bid in person at the Festival (July 2, 3 & 4) and online at https://www.cherryartshop.org/auction. The online bidding opens on Monday, June 27. The art is generously donated by exhibiting artists with proceeds going toward CCAF’s year-round arts education programs. Green Up Cherry Arts is working toward a zero-waste model through education and involvement of the public in recycling. To reach this percentage, Green Up Cherry Arts implements a three-stream Zero Waste management system, which includes recycling, composting and proactively preventing unnecessary waste by working with vendors, community partners and Festival attendees to encourage sustainable approaches. The Cherry Creek Arts Festival is also working on becoming a Certifiably Green Event through the City of Denver. In 2015, the fourth year of the program, Green Up Cherry Creek Arts Festival maintained a waste diversion percentage of 35.7 percent. The mission of “Greening Cherry Arts: Zero Waste Initiative” is to ensure an environmentally responsible year-round operation. Artivity Avenue, presented by King Soopers, offers a full block of family-friendly, interactive activities. Situated on Steele Street between 1st and 2nd Avenues, ART-ivities annually include a collaborative mural, “Be a Part of Art,” painted by the community and the “Creation Station,” presented by Cruisin’ 1430 AM, with various activities for younger children. This year, children can create spin art with Cruisin’ 1430 AM, play with food in the King Soopers area, create critters and flowers with the Paddington Station Preschool, color in velvet art sheets with Chabad Lubavitch of Colorado, enjoy sensory finger painting with FireFly Autism and so much more. In addition to visual arts, the Cherry Creek Arts Festival will feature nearly 20 culinary vendors and food trucks that offer a wide variety of cuisines and some healthier meal options. All vendors are supporters of Green Up Cherry Arts, a long-term program with a goal to work toward Zero Waste and educate the public about responsibly disposing of trash at the site of the Festival. This year, the Festival welcomes five food trucks onsite: BepVietUSA, Dos Locos, Simply Pizza, Spud Nation and The Real Deal. Festival patrons can cool off with drinks from Blue Moon Brewing Company, Hendrick’s Gin, Ketel One Vodka, Francis Ford Coppola Winery, Milagro Tequila and Pepsi.